Board a train, thrust your way through the crowd to some messy corner of a general compartment and you start losing your identity. This entry was posted in Photography and tagged Art, Class, Indian Railways, Photography, Photojournalism, Ronny Sen, Unreserved on September 16, 2017 by Rashmi Munikempanna. 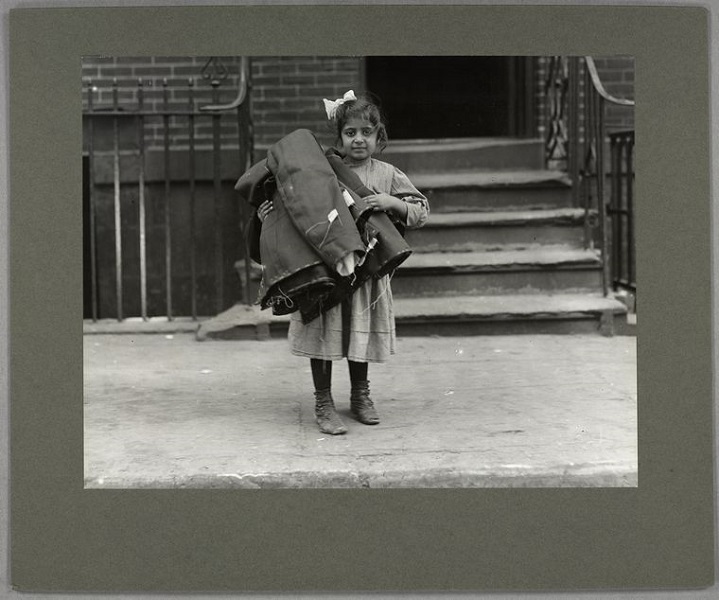 Photographer Lewis Hine captured the appalling child labor conditions of early 20th century America in stark, history-making detail. This entry was posted in Photography and tagged Class, Lewis Hine, People's resistance, Photography on December 7, 2016 by Rashmi Munikempanna. Poverty means different things to different countries. This is something that people will quickly realize when they see Stefen Chow’s photo series that features food from 16 developed and 13 developing countries. “The Poverty Line” is a visual project started by Chow and his wife Hui-Yi Lin, who is an economist and market researcher, in China. The couple has since traveled to six continents to document the food choices of people living in poverty. This entry was posted in Photography and tagged Class, Food, Photography, Poverty on November 3, 2016 by Rashmi Munikempanna.